Chandamama Lo Amrutham, a comedy film based on Amrutham TV serial, is gearing up for release in December. Although the film’s shooting was completed long ago, the film’s post-production, especially visual effects, took a long time to complete. 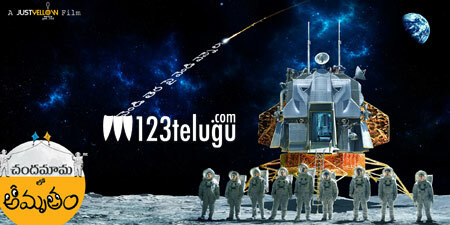 Directed by Gunnam Gangaraju, the film is said to be India’s first space film. Srinivas Avasarala, Harish, Vasu Inturi and Dhanya Balakrishnan will be seen in lead roles. The audio is expected to be launched in the first week of December. Gunnam Gangaraju has also written the script and produced it under Just Yellow Media banner.